I was a member of this club in the sixties. It all started when I became fascinated with canoeing whilst still at school. 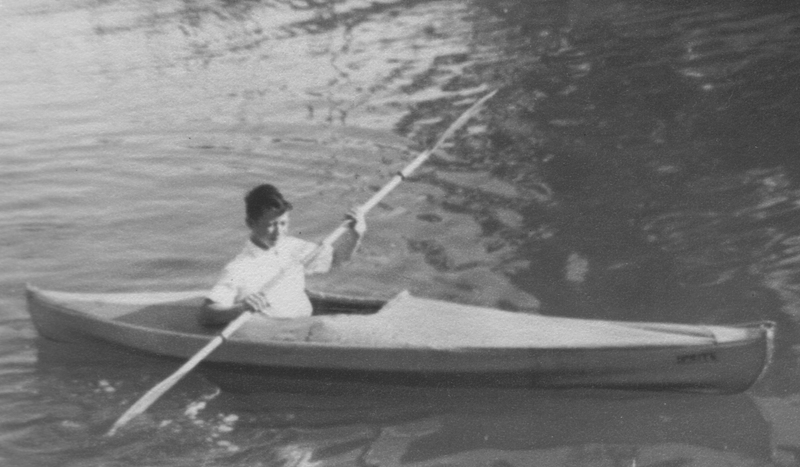 I discovered a folding canoe manufactured by a company in Cambridge called Granta. This canoe consisted of a folding wooden frame which fitted inside a rubberised fabric and canvas skin and the whole kit fitted into 2 portable bags. I think it cost around £12 pounds and was sold through the Gamages store in London. I only had a paper round for income but saved hard, and the day soon came with the delivery of my new toy. I started by taking it on the 26 bus to The Steine and then to the beach where the swimming club was located. I used to paddle around the Palace Pier which was where I came to the attention of other canoeists who were members of the club. They persuaded me to join the club which was located in the arches just to the west of the East Street groyne. I remember two names from those days, Alan Duncan, the club president and Robert Goldsmith. Robert was an accomplished canoeist and I remember the day he encouraged me to participate in a race. I thought I stood a reasonable chance of coming second and I did. There were only 2 of us, Rob and I. I managed to win a transistor radio by coming last. I also used to take the canoe by bus up to the Adur where the old road bridge is located and paddle back out to sea and along the coast to the Palace Pier. They were happy days, does anyone remember the canoe club or maybe me? If you do, please post a comment below.